Kianite square encased in a sterling silver spiral. French earwires. All silver is sterling. Approximately 1 1/8 inches, including earwire. .......................................... Kyanite is said to have a calming effect on the whole being, bringing tranquility while driving away anger, frustration, confusion and stress. .......................................... 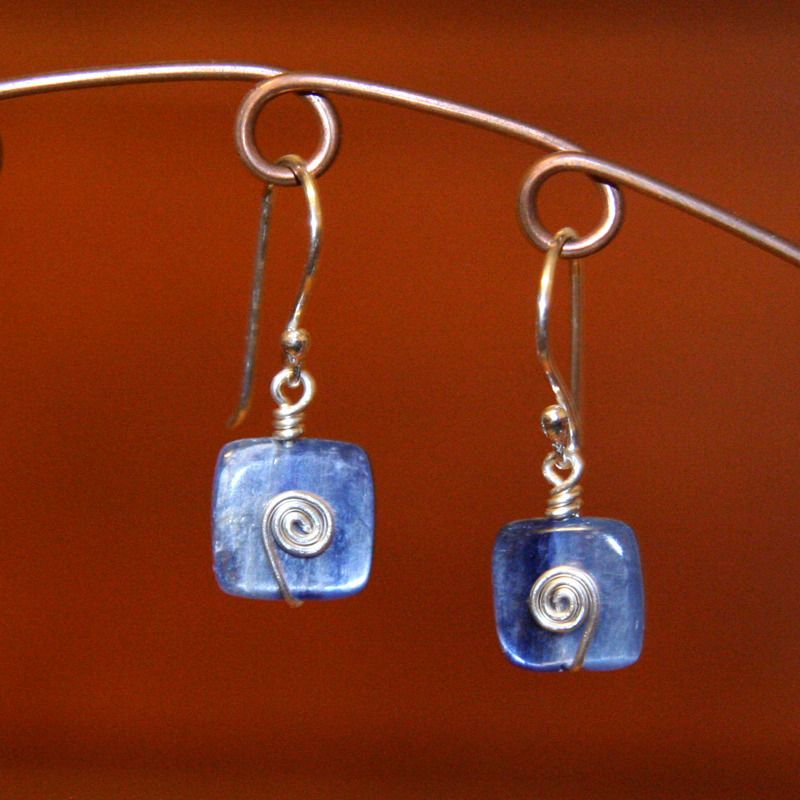 These earrings will be shipped with a complimentary organza gift bag. If you prefer a gift box, please let me know in the Notes box at checkout. If you are purchasing a gift that you would like shipped directly to the recipient, I am happy to include a personal message from you. In the Notes box of the order form, mention "giftshipper" and include the text of your note.